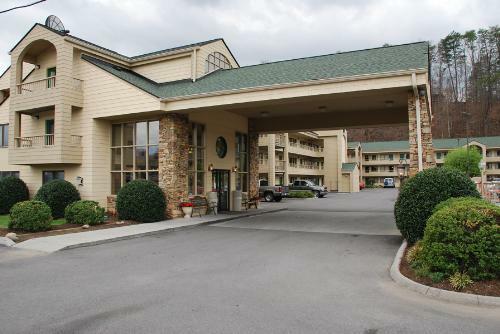 Quality Inn & Suites is located one mile from Dollywood in Pigeon Forge. 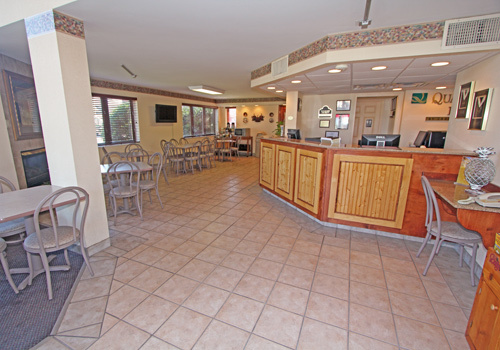 Guests enjoy the many full-service amenities, including free continental breakfast, free wireless Internet, free newspaper, laundry facilities, motor coach parking, and large outdoor pool and kiddie pool. All rooms feature micro-fridge, coffee maker, iron & board, hair dryer, cable TV with HBO, and in-room safe. 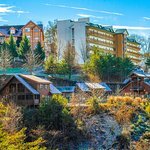 Located across from Dolly Parton's Dixie Stampede, 4 miles from Dollywood, and 7 miles from the Great Smoky Mountains National Park. Recipient of Choice Hotels International Gold Award 2015. Includes an outdoor pool with water features. Enjoy the complimentary hot breakfast. Welcome to the Quality Inn & Suites at Dollywood Lane. 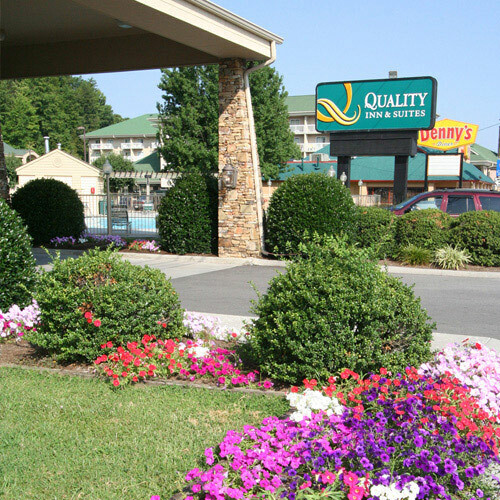 Our Quality Inn & Suites is one of Pigeon Forge’s best options for affordable lodging. Our hotel is ideally located just across from Dolly Parton’s Stampede. 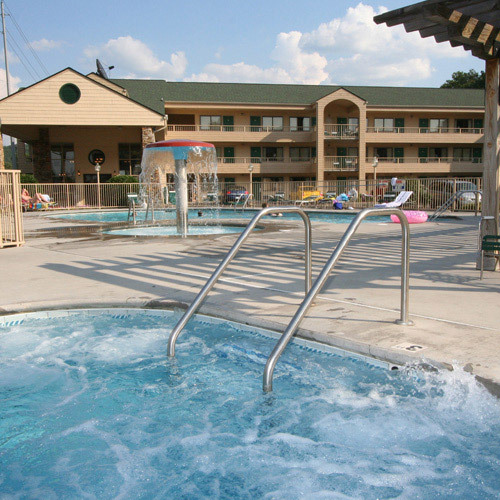 We are conveniently located approximately four miles from Dollywood Theme Park and Dollywood’s Splash Country water adventure park. 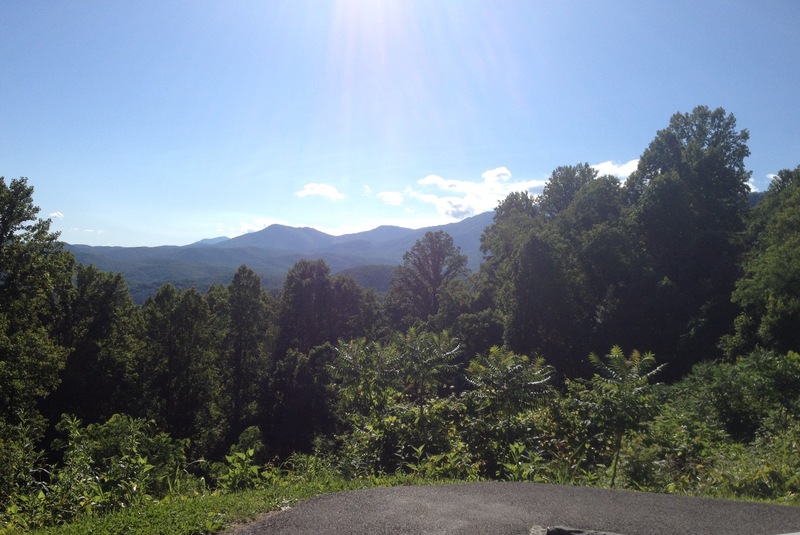 The Great Smoky Mountains National Park, Ripley’s Aquarium of the Smokies and the city of Gatlinburg are just minutes away. Bargain hunters will enjoy browsing the many nearby outlet malls and unique shopping villages. 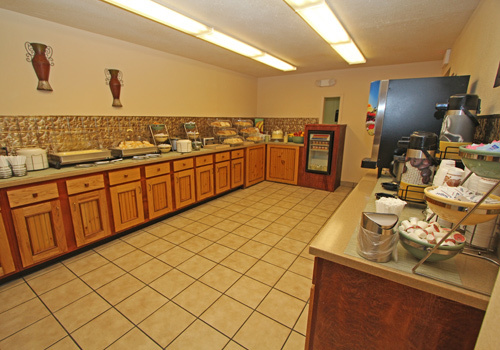 Our hotel has a restaurant on premises, with major chain and fast food restaurants within walking distance. A public golf course is nearby and the Trolley stops at our door. 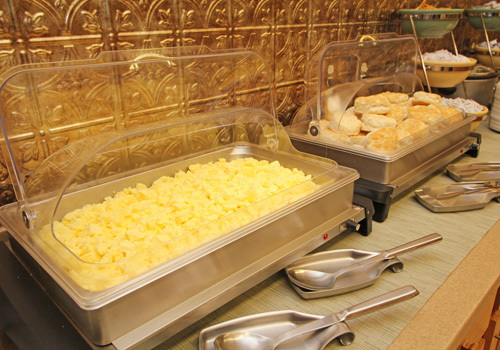 Our guests enjoy the many full-service amenities, including Hot Breakfast featuring fresh hot waffles, scrambled eggs and a southern favorite - Biscuits and Gravy. Free wireless high-speed internet, free weekday newspaper, free coffee, a large outdoor pool and kiddie pool are also available. All spacious guest rooms each feature micro-fridge, coffee maker, iron & board, hairdryer, cable television with HBO and in-room safe. In addition to standard amenities, our king suites have 2 person whirlpool tubs in a large bath area, queen sofa sleeper, and fireplace. Our one room family suites include 2 queen beds, 2 person whirlpool tub in a large bath area, queen sofa sleeper, fireplace, and 32" flat screen TV. 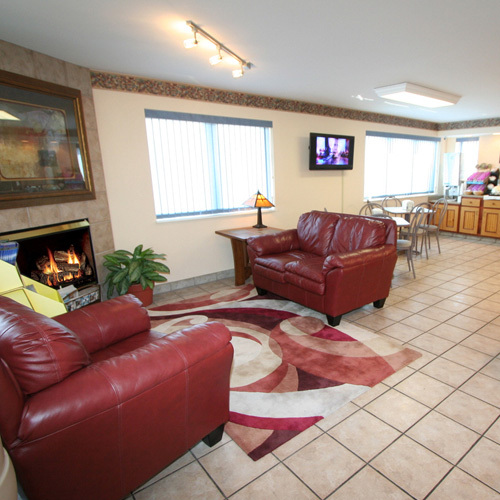 Laundry facilities are located on the property for our guest convenience. 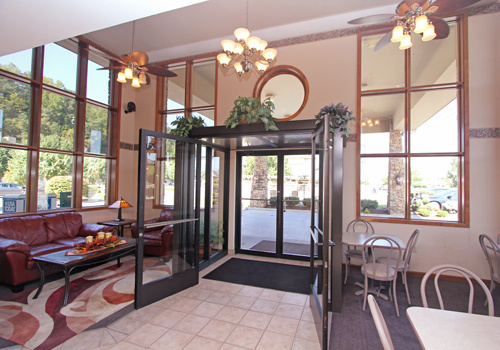 The hotel also provides easy access motor coach parking. Please note: Pets are not allowed. We really had a great time while on vacation. The staff was very nice although be mindful they don’t speak a whole lot of English. They were friendly and very helpful and they always had a smile on their faces. The only down side to this hotel is that the beds were not all that comfortable, but overall that didn’t stop us from having a wonderful time! Our stay was fabulous the staff was amazing. 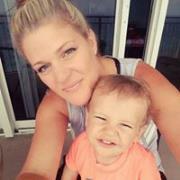 Tip: The young lady who runs the front shes awsome. My husband and I went for the week and was happy with the room . It was clean and smelled good. I wish the housekeepers cleaned our room earlier in the day. For sure we would stay there again. Tip: You can walk to so many places and it was nice to take a walk after dinner and feel safe. I was worried about the quality of this hotel since it was so large but i was pleasantly suprised! The first thing i noticed upon entering our room was how CLEAN it smelled and looked! We are a family of 5 and stayed in a "family suite" with double Queens. we had plenty of room, the beds were comfortable and we very much enjoyed how large the bathtub/shower was (especially with 3 kids). The pool was a really great feature. The "splash pool" was a huge asset to us since we have a toddler as well as 2 older children. The pools were close enough that i could sit with my toddler at the splash pool area and still watch my older kids in the big pool. Plenty of pool towels and it was never over crowded. The only complaint i have is the hot water was very finicky. The water temperature would frequently fluctuate between hot & cold while showering without having touched the knob, & the pressure was lacking. Overall I would stay here again. Tip: If you want to take advantage of the free breakfast make sure you get there early. Everything is nearly gone by 9:15 am. Perfect location. We’ve stayed 7 out of 8 years. Friendly staff and always helpful. Tip: Easy access out of lot in traffic compared to other hotels. We are a family of 5 and we did the family suite and it worked great for the week. Huge jacuzzi tub! 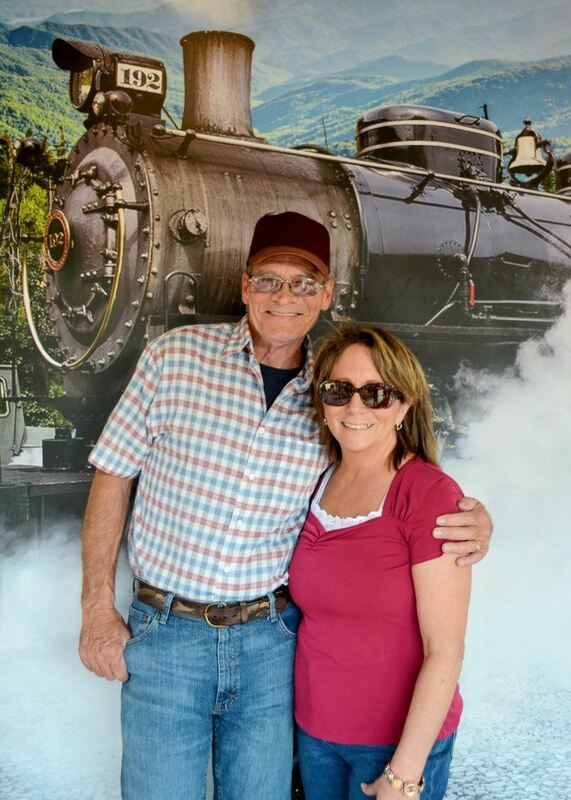 "Pleasant stay in Pigeon Forge"
Found hotel on TA & since it was our first time to the area didn't realize what a good location this hotel is. On the main strip of sorts with plenty of food & activities close by...many within walking distance. The hotel/motel itself is a bit older & had a few areas that need fixing BUT the room was clean & very nice size. The beds were comfy & there were plenty of pillows. We were on the 3rd floor & glad there were luggage carts. The pool looked inviting but it was still too cold for me to venture in....the websight lists an indoor pool but there isn't one. 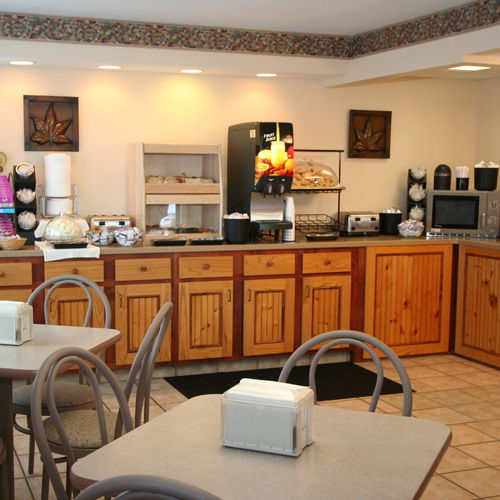 The positives were pleasant staff that were always cleaning or helping guests & the breakfast! Waffles, eggs, sausage, breads, sweets, cereals, juices & great coffee!! My 15yo ate 2 of the biggest breakfasts I've ever seen her eat lol It was busy but the staff was always replenishing food & cleaning off tables. The room cleaning ladies wished everyone who passed them good morning. The negative was the shower/tub water pressure. Felt like I was being spit on more than showering. Slightly better for the colder water but not in need of a cold shower thank you very much. The satellite was slightly sketchy but the Wi-Fi was good. I'd recommend it for people who like to be near the action. As a basketball mom stressing during limited hotel availability with tournaments mixed with Spring break, I'm glad at 3am I booked this one. 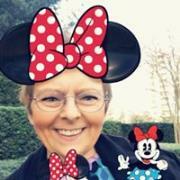 I'm very particular on cleanliness & of course did the complete comb over after checking in. The room was very clean and satisfying. 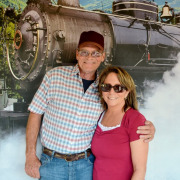 Staff was very friendly & you are perfectly balanced between Gatlinburg & Pigeon Forge. Would definitely stay here again. "Not as good as before "
We have stayed at this hotel several times before. 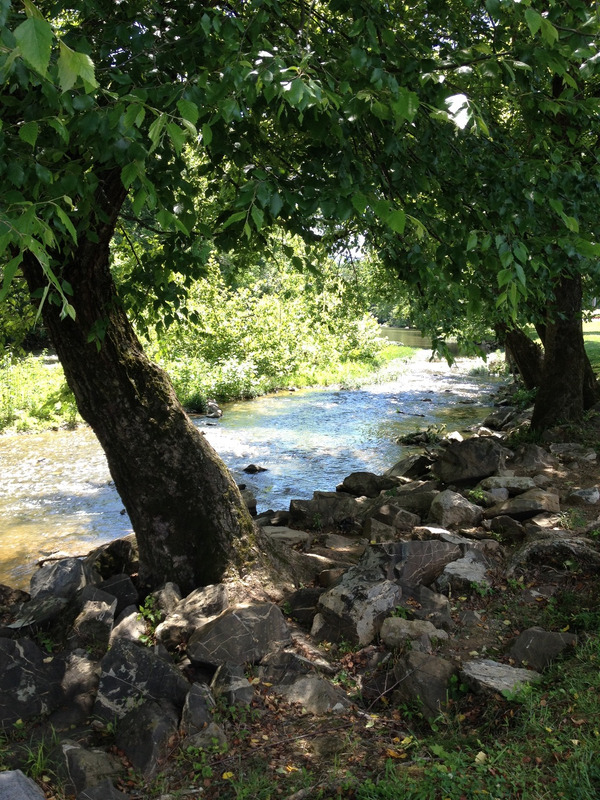 Like the location for its convenience to the national park and amenities of Pigeon Forge. This trip we're stayed in a 2 room suite which was great for our family of 4. The king bed was on the firm side. My kids enjoyed the balcony and watching traffic. 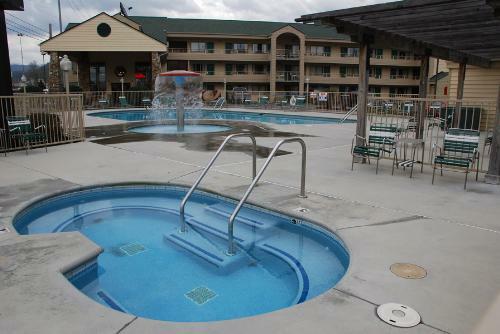 The biggest disappointment was the fact that in years past and on the website it said we could use the indoor pool at the neighboring Comfort Inn. We did not find out that this was no longer allowed until our 3rd night there and then had to explain to a very disappointed 4 year old she couldn't swim. The breakfast was also not as good as previous stays here. Would have liked a little more variety. "Amazing for the price "
We paid $69 a night for a clean room and a nice breakfast... rooms are in need of an update, but are extremely clean. There is no indoor pool, as advertised, but I overheard a lady at the front desk speaking on the phone to someone and explaining that trip advisor, hotels.com, etc have been notified, but haven’t made the change. Close to everything... literally across the street from Dixie Stampede and right by trolley stop. 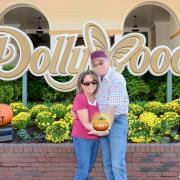 How many rooms are available at Quality Inn at Dollywood Lane? There are 125 rooms available at this property. There are 3 floors total. 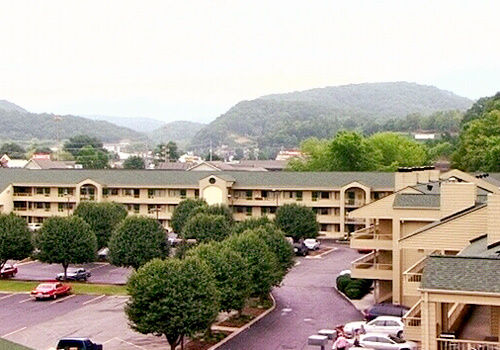 Quality Inn at Dollywood Lane is comprised of one building. 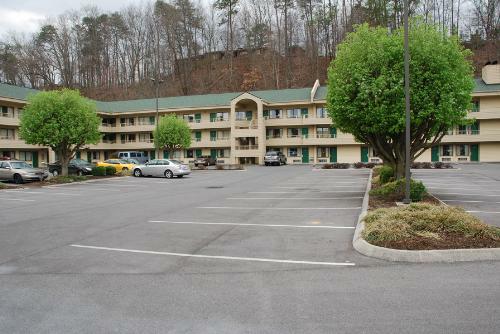 There are 6 sets of adjoining rooms available at Quality Inn at Dollywood Lane. Yes. A 24 hour Denny’s is located on property. 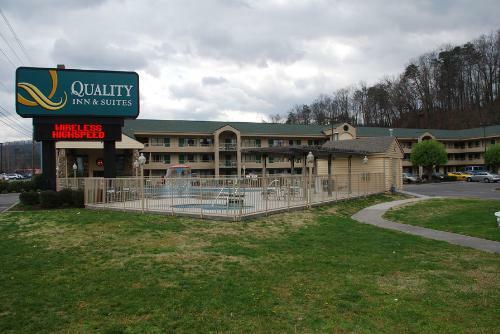 Is the Quality Inn at Dollywood Lane located on a trolley stop? Guests must be at least 18 to check-in at Quality Inn. Do you charge for cribs, rollaways, microwaves and fridges? Each cost $10 per night. 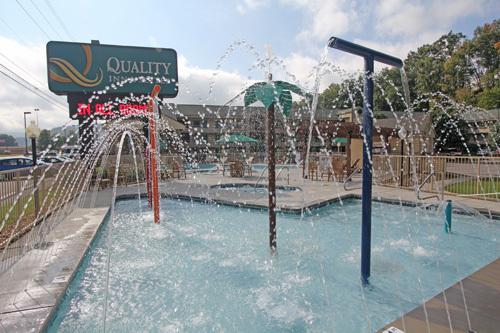 What are your pool hours at Quality Inn at Dollywood Lane? The pool is open from 9am-Midnight. Yes. Guests can check in at anytime.